Back in January, Mayor Durkan announced a proposal to use $5.3 million from the sale of a city property to fund “bridge housing” to get more of the city’s homeless population off the streets. The City Council tweaked the plan a bit, but in the end Durkan’s $5.3 million survived and the Council ratified the funding plan in February. Today Durkan is revealing the next step: a specific plan for how the money should be spent. 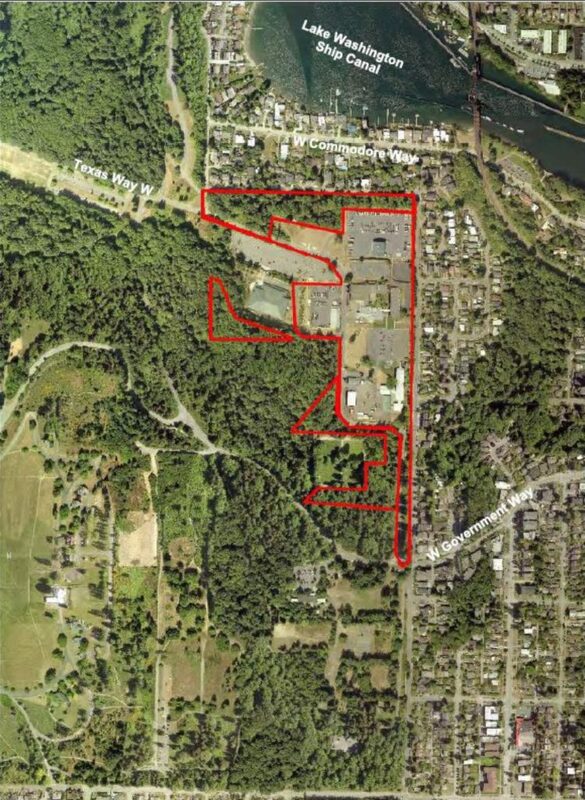 Today the City of Seattle published the Final Environmental Impact Statement (FEIS) for its proposed redevelopment of the Fort Lawton property in Magnolia. Wednesday morning, the Council took up its quarterly update to the city’s budget. Normally these discussions are an excellent cure for insomnia, and the first quarter update especially so since it involves retroactive cleanup of last year’s budget, rolling over small amounts of leftover funds from the pervious year’s budget, accepting grants, and correcting all the mistakes and oversights in last fall’s eight-week-long annual budget development marathon as well as any new projects that need to be funded (like $46,000 to reopen five wading pools at city parks this summer). But a bit of grandstanding by Council member Sawant brought some drama to the deliberations this time. After several quiet months, Council member Tim Burgess’s attempt to regulate short-term rentals listed through AirBnB, VRBO, HomeAway and other services is back. There are a handful of revisions to the plan, and this time there’s real legislation to be introduced into the Council’s legislative process. Today the Energy and Environment Committee passed an amended version of Council member Sawant’s proposed ordinance, capping move-in fees and requiring landlords to offer an option for paying those fees in installments. Budget chair Tim Burgess’s plan for this year was to use two rounds of discussion to build most of the 2017-2018 budget by consensus, leaving today’s meeting to hash out whatever controversies remain. That is exactly how it played out, and even today’s meeting had few major conflicts. Over the last two days, the argument over whether the city should use its bonding authority to plow more money into affordable housing has threatened to turn into a pitched battle, with both sides digging in their heels. The proposals to be discussed at tomorrow’s budget committee meeting have been posted now, and with that the details of Council member Herbold’s new proposal to spend an additional $29 million for affordable housing. For several weeks now, Council member Sawant and her coalition have been pushing a proposal to redirect funds from the troubled North Precinct police station project to fund 1000 units on new affordable housing. This afternoon, a competing proposal was announced, introduced by six Council members — including Sawant.